Tony Evers, the Democratic candidate for governor in Wisconsin, is running on a renewable-energy environmental platform. But he has invested in the oil and gas sector, including in the company partly responsible for the Deepwater Horizon explosion and a petroleum distributor responsible for a pipe rupture that contaminated drinking water in the state he is now seeking to represent. Evers's investments also run counter to the Democratic Party of Wisconsin's platform that calls for individuals who "put profit over public safety" to be held accountable. The Democratic candidate's campaign website boasts of his environmental plan to protect Wisconsin's natural resources and calls for renewable energy "rather than buying our energy from foreign countries and hostile nations." "Our farms and working lands should be producing the energy to power our state. We need to restore incentives and policies to produce more solar, wind, biomass and other renewable energies here in rural Wisconsin," the site says. "Wisconsin citizens pay some of the highest rates in the nation for electricity. We can become more energy independent, and keep more of our energy dollars here at home by producing our own renewable energy—generating year-round income to help diversify operations for farms of all sizes." In 2010, Evers held up to $50,000 in bonds in Transocean, which operated the Deepwater Horizon oil rig that exploded that same year and killed 11 workers while dumping 4.9 million barrels worth of oil into the Gulf of Mexico. Evers held onto those bonds for two years after the explosion occurred, according to documents sent from the Republican Party of Wisconsin to the press that draw attention to his investments that also included "hypocrisy" in relation to economic development initiatives and workers' rights. Evers also invested up to $50,000 in Buckeye Partners, a petroleum distributor, the year after a company spill contaminated the drinking water supplies for hundreds of residents in Jackson, Wis.
A pipe that extended from Milwaukee to Green Bay ruptured in July 2012 and spilled 54,600 gallons of fuel in a farm pasture. The spill contaminated groundwater for up to a square mile of the incident and the water later tested positive for benzene and additional contaminants in more than 40 wells. Environmental officials in the state made 37 property owners abandon their wells due to the contamination. Evers invested in other pipeline companies such as Exxon and Oneok while holding no stakes in any renewable energy companies despite now running on a platform calling for investments in the sector. Evers's investments are additionally at odds with the Democratic Party platform in the state, which calls for the likes of a moratorium on pipeline construction and to end subsidies for fossil fuel companies. The Democratic Party of Wisconsin's 2018 platform calls for safeguarding groundwater and holding those responsible who "put profit over public safety." Evers received the endorsements the Sierra Club, League of Conservation Voters, and Clean Wisconsin, all liberal environmental groups. 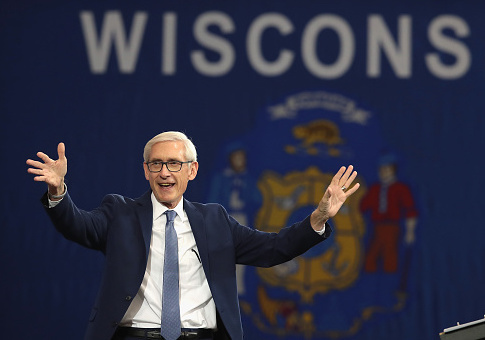 The Sierra Club stated in a press release that Evers was "committed to protecting Wisconsin families' health, air and water and to building a clean energy economy that works in Wisconsin." Evers's campaign did not return a request for comment on the investments by press time. This entry was posted in Politics and tagged 2018 Election, Wisconsin. Bookmark the permalink.